But also books and history* stuff! Here’s a list of everything I spent on “wants” for the past 30 days. I decided to keep it to only the stuff I spend on *myself* vs others (kids, charities, etc) since that’s what I was most wondering about, and since I’m not looking to change the others. I was doing pretty good up to that bachelor party! Haha… I debated even including it since it was pretty much mandatory as the organizer of it all (I’m the best man) but since I’m not one to pass up experiences anyways, I knew I would have still attended ;) Would have dropped the daily average down to $11.74 though! #1. I didn’t realize I ate out as much? I always thought I did it maybe once or twice a month, but oops. It was triple that, at least for this month (and even without the bachelor party it’s still double what I assumed!). #3. I thought I’d have more than 7 no-spend days :( But I guess that’s hard to pull off when you BUY COFFEE AND BAGELS EVERY SINGLE WORK DAY!! #5. And lastly, I definitely spend more than the $200/mo I was originally guessing on. Not *too* much more if you exclude the B Party, but still more than I would have guessed. Which is exactly why you track and budget this stuff – your mind likes to play tricks on you! But so long as I don’t keep doing $200 days I’m not going to sweat it too much… Every single thing up there brought me “joy” as they say, and I don’t regret spending on any of them. A huge difference from 20 year-old J$! I’m going to keep tracking this stuff for another few weeks or so and see what else I can dig up, but I’d say it’s been a pretty good success so far. and B) for being more *aware* now of where my extra money is going. I wouldn’t say my habits have changed per se, but I know now the areas I need to watch out for at least! *I was never a history buff until I started collecting coins… Opened up my whole world, and now can’t get enough! Amazing how far we’ve come as a nation, and really the entire world. Lots of sadness too, but man we’re an incredible race. There’s also quite a few bagels in month two, but they come in the form of a zero. That’s one thing I actually miss so far being at home all the time – socializing. I had it every morning working out of Panera Bread, but now need to find it elsewhere or I can see myself going a little insane :) At least when school starts I’ll be around a lot of adults again come drop off/pick up time w/ other parents! J$, we need to talk about your morning nutrition. This experiment needs to have a calorie total :). In all seriousness though I used to do the same thing until I realized my bagel had about 450 calories and very little nutritional value. Now I spend 0 on bagels and less on doctors visits too :). What do you eat instead? Or more specifically, what could you order at coffee shops that would be better for you and still fill you up? :) Oatmeal? I don’t know how you manage to get anything done as a stay at home dad of 3 kids. We have 2 and if my wife is gone my only goal is to survive. Getting anything productive done is just about impossible, except during nap time. Haha… I wake up 2-3 hours earlier than everyone every day which certainly helps ;) And then yup – power through at nap times! It is really as simple as making choices. When I had a recent career change, we made the choice to materially reduce expenses on wants for a while. Did we need to do it? No. We are F.I. but with the job change came a lot of unknowns so we decided to be cautious expense wise until things got sorted out. As for breakfast ideas – steel cut oatmeal with fresh fruit on top (blueberries, raspberries, blackberries). No sweeteners other than the fruit! Ha! When I’m on the road I always sneak out of the house early and hit up a local coffee shop. Way easier to keep the costs down if you’re at home…congrats! I love 30 day challenges. There is always something to be learned, and often beneficial habits are formed. I’m almost done with “get rid of one thing a day,” and I’ve just started “daily miracle morning.” Thanks for sharing your experiments with us! I tracked my wants too and for some reason all I want are plants…and some of them are called money trees! ha! Plants are definitely worth spending $$ on :) Make your house so happy and healthier I feel like? I think you might have a bagel addiction. :) Great exercise. We tend to fall into habits that we just don’t realize we are doing, and until we track them they are hard to break. Nice experiment. I’ll give this approach a try track my wants for 30 days and see what I come up with. What are you doing to position yourself into a ‘coffee shop’ to begin with? Why are you even ordering a bagel that lacks any characteristics of a proper nutrition item? I guess there’s a difference between a want and then executing on it. All that you got for 80% of your wants were empty calories, a slight regret and some lost future spending potential some things that you really really want. But I DID really want those bagels and coffees! They make me happy!! :) Panera Bread is my “office” every morning which is a helluva lot cheaper than a real office, believe me… (or I should say – was – my office as now my kitchen table is with watching the newborn!). And while I guess I could sneak in my own homemade food/coffee there, it wouldn’t be very nice of me. Here’s your gold star for doing the challenge! Our minds really do play tricks on us around accountability. Sooooo interesting. Thanks for sharing. 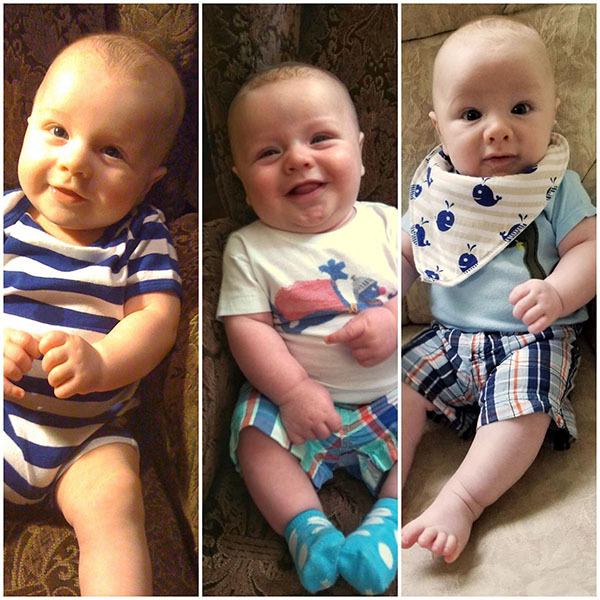 BTW – all three boys are ADORABLE! This is such an awesome exercise! It’s great to see your results! I am going to do this in September and try and get the wife on board, too! Nice job on the 2nd month. Having kids save money in some ways. Heh heh. I think it’s good that you’re tracking your spending. We all think we spend less than we do. That’s why everyone runs out of money at the end of the month. Once you track it, you can see where you spend the money. I’m curious to hear more about your Panera Bread/office experience. I had friends who worked off their laptops and could work anywhere, and they would start working at the coffee shop. It usually didn’t last though – they would start making friends, a good thing, but the more the relationships grew, the less work got done. Eventually some of them sought out a private office. I’ve heard this is a common pattern at co-working spaces too – work gets done the first couple of days until you start making friends, and then it’s hard to pull away and work. I know what you mean about restaurants – they can add up sometimes. Last January I had a wake up call – I’d spent like $200 on restaurants! In Wausau no less! I actually make bagels and peanut butter for the kids sometimes haha… it’s really good, especially if you toast it first! 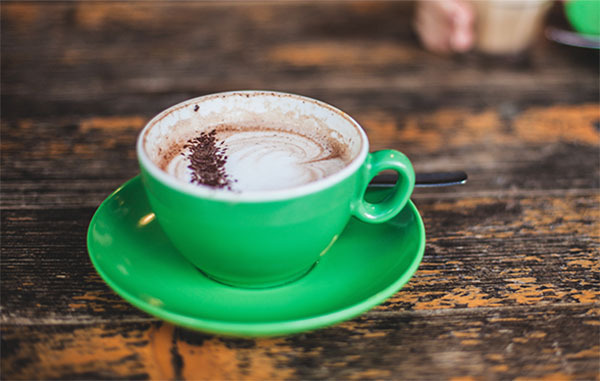 Working out of coffee shops/co-working spaces – yes, you def. start making friends and get distracted over time, but it still beats out paying tons of money for private office space, at least for me. Plus it’s the only real adult interaction I get these days anyways so I enjoy it! And most people at coffee shops only talk to you for a few as you’re more acquaintances than good friends (although co-working spaces are a bit different – I def. had a much harder time working out of those in the past). The biggest downfall to coffee shops is really finding a good table, and then of course spending money on stuff that isn’t the healthiest for you apparently :) Also some will limit wifi time and will automatically kick you off which can be problematic! I gotta be honest with you. I don’t think I’ve ever read one boring article of yours. Except for this one… just kidding! ;) It’s amazing what happens when you track every single little expense!!! My DW and I started tracking expenses/groceries and at first we thought, pshhh $400 is easy to budget for groceries. Then we realized it’s a lot harder to keep under $400 when you actually track your expenses :) Ignorance really is bliss sometimes haha. But ignorance is not financial independence! I was super into reading the blog post and then I lost focus gushing over those baby pictures! Oldest one or two (?) starting school soon? That will free up some of your wrangling time. yup – oldest going into 1st grade already (! ), and then middle has one more year to go until kindergarten, but we have him in 1/2 day preschool to get a good start w/ learning and interacting with peers. All of which opens up some good time for sure! Adorable children, and it’s amazing that you are able to be home with them and bond. As for the bagels, that’s a lot of bagels! But I can definitely relate. I tried to make breakfasts 100% eat at home, but a store-bought bagel just doesn’t compare to a bakery bagel. Especially when we are talking about New York bagels! So ultimately, I transitioned to eat-at-home breakfast on work-days (no bagels), and bagels and a coffee are my indulgences on the weekends. Kind of my weekend kick-off ritual. And 312% – Incredible!! With the same income/expenses no less, that’s some proof right there! I need to to track my spending. It’s been creeping up lately for the items that fall into the “other” bucket of my budget. Those boys are adorable! Looks like you will have your hands full! I love the idea of tracking “wants”. I generally use my credit card for all purchases and find the monthly total is really getting high. Used to be about 1K, now it’s over 2K. A lot of that is house related but then, that’s mostly still in the “want” category. I look at the expenses and say “oh, that is a one-time expense” but I find I think that a lot. I may be late to this party, but I’m starting my “want” tracking today! J$, thank you so much for your very practical money management advice. I’m glad to have found you. Previous post: Want these books and goodies before I donate them? Next post: Proof that this MONEY stuff is possible!